For some, there’s nothing like a Christmas tree to ring in the season. 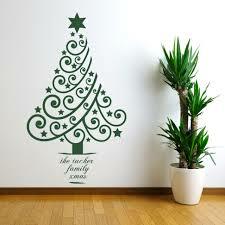 For others, who suffer from allergies, who are working within a small space or simply don’t have the time and patience to be sweeping pine needles off the floor for the weeks leading up to and following Christmas, an actual tree might end up being more of a hassle and you might want to consider a Christmas tree stand-in. Here are five ideas to get you started. 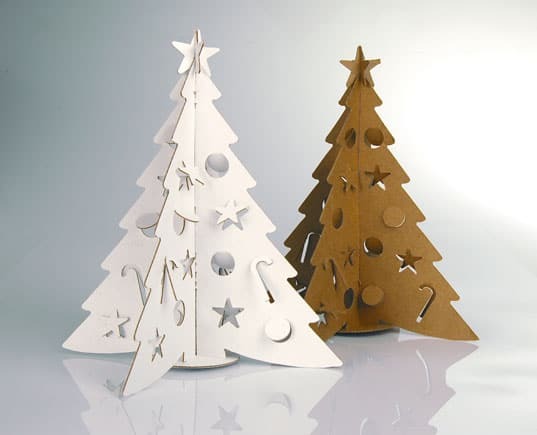 Affordable, baby and pet safe, recyclable and easy to store and reuse, cardboard trees come in a variety of sizes ranging from table-top models to large floor models. 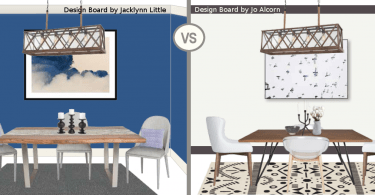 Depending on how much space you have available, you can select a cutout that is either two or three dimensional. 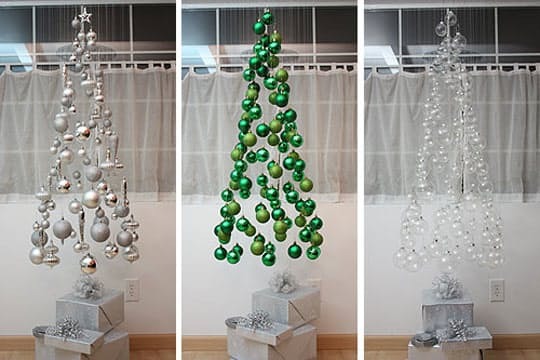 With this style of tree, you can hang ornaments and even a tree topper. By ready-made decals online that you can reuse year after year or DIY using self-adhesive shelf liner. Decals are best used on surfaces like fridges, windows and walls. This idea is particularly handy if you small children or pets who would otherwise get tangled up in a the lower branches of a real tree. 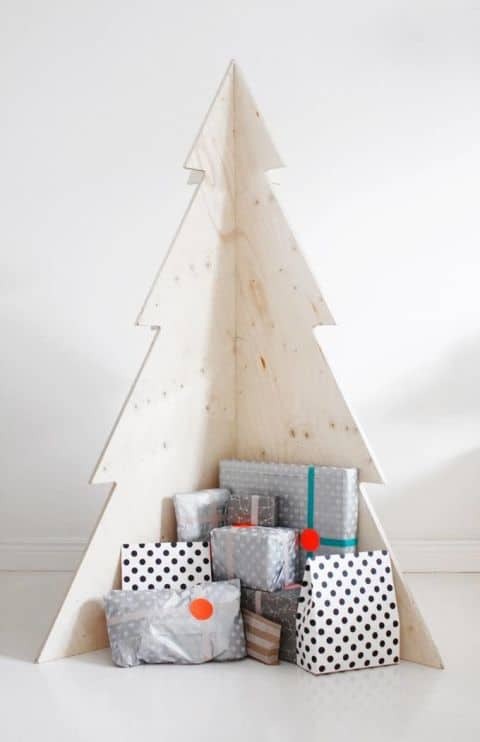 Learn how to make your own ornament tree here. 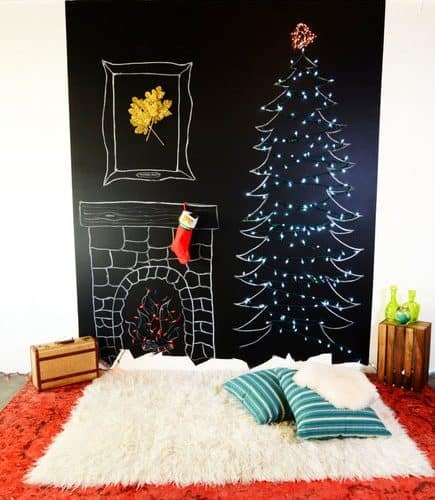 Either coat a spare wall in chalkboard paint, or find a large board that you can paint. 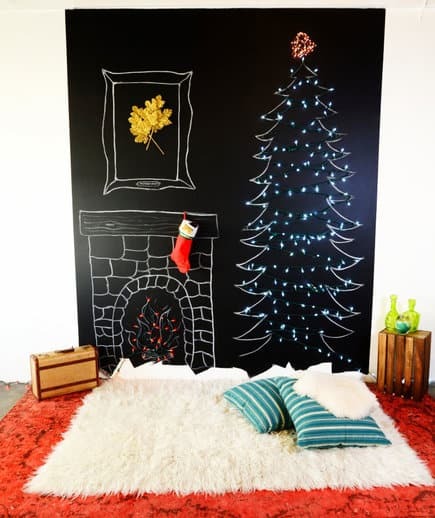 Once it’s try, use colourful chalk to draw out your tree and even a fireplace if you desire.